(RRP £49.99). 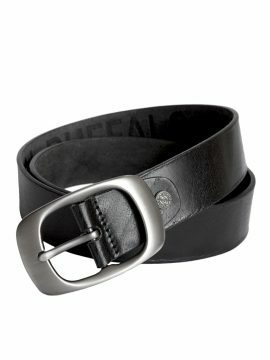 Top quality men's leather belt hand-made in 100% buffalo hide leather, specially selected for durability, and hand-waxed for a smooth feel. Finished with a stylish buckle (style B1) in antique silver-coloured metal with a soft satin sheen. The workmanship is second-to-none, crafted to last. Fantastic for smart-casual wear with trousers or jeans. Available in 8 sizes, up to waist 50in/127cm. Choice of 3 colours: Black, Brown and Tan. (The clever design of this belt means you can also shorten it easily if required - instructions included.) Stones Belts - hand-crafting belts to last a lifetime since 1989. Please see our Product Description below for full details and important sizing information. (RRP £49.99). 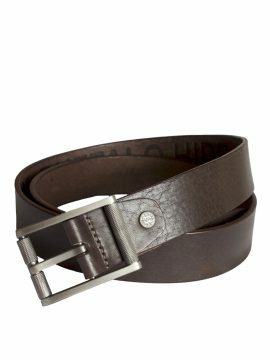 A top quality men's leather belt hand-made in 100% buffalo hide leather, specially selected for durability, and hand-waxed for a smooth feel. Finished with a stylish buckle (style B2) in antique silver-coloured metal with a soft satin sheen. The workmanship is second-to-none, crafted to last. Fantastic for smart-casual wear with trousers or jeans. Available in 8 sizes, up to waist 50in/127cm. Choice of 3 colours: Black, Brown and Tan. (The clever design of this belt means you can also shorten it easily if required - instructions included.) Stones Belts - hand-crafting belts to last a lifetime since 1989. Please see our Product Description below for full details and important sizing information. (RRP £49.99). 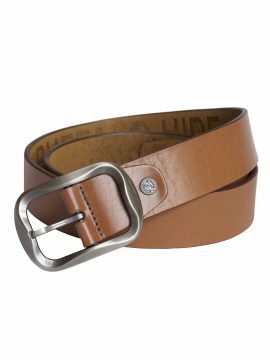 A top quality men's leather belt hand-made in 100% buffalo hide leather, specially selected for durability, and hand-waxed for a smooth feel. Finished with a stylish buckle (style B3) in antique silver-coloured metal with a soft satin sheen. The workmanship is second-to-none, crafted to last. Fantastic for smart-casual wear with trousers or jeans. Available in 8 sizes, up to waist 50in/127cm. Choice of 3 colours: Black, Brown and Tan. (The clever design of this belt means you can also shorten it easily if required - instructions included.) Stones Belts - hand-crafting belts to last a lifetime since 1989. Please see our Product Description below for full details and important sizing information. (RRP £49.99). 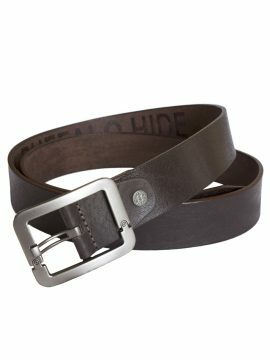 A top quality men's leather belt hand-made in 100% buffalo hide leather, specially selected for durability, and hand-waxed for a smooth feel. Finished with a stylish buckle (style B7) in antique silver-coloured metal with a soft satin sheen. The workmanship is second-to-none, crafted to last. Fantastic for smart-casual wear with trousers or jeans. Available in 8 sizes, up to waist 50in/127cm. Choice of 3 colours: Black, Brown and Tan. (The clever design of this belt means you can also shorten it easily if required - instructions included.) Stones Belts - hand-crafting belts to last a lifetime since 1989. Please see our Product Description below for full details and important sizing information.